Face painters with high level of expertise - dermatological tested face paints used complying with all the current EEC make-up safety regulations. 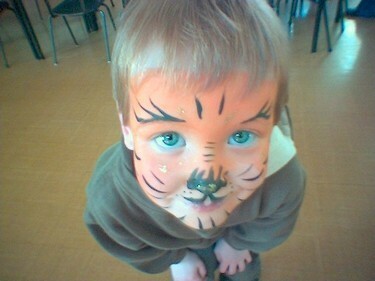 Also the face paints used are none-toxic, easily removed with soap and warm water. Most face painters provide tables and chairs. Some face painters will provide open sided mini marquee and displays showing the range of face painting designs on offer.